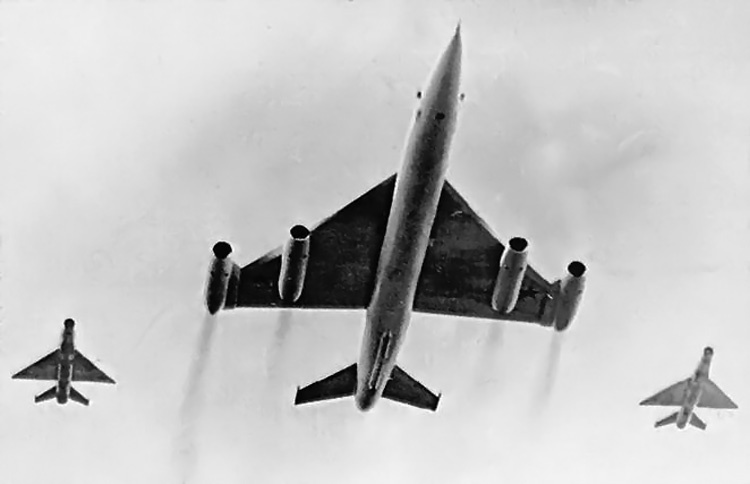 "It was as a desperate attempt to produce a Soviet supersonic-bomber. Only two prototypes were built. They were very big, cool looking and had very under-performing engines. 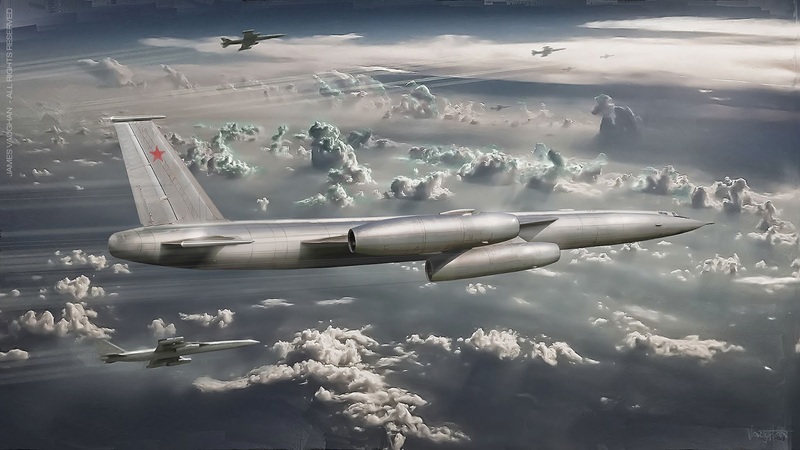 But; Boris and Natasha (after large amounts of Vodka were consumed) managed to convince an editor for 'Aviation Week' that the 'Bounder' was really a Nuclear-Powered strategic bomber." Masters of over the top lies, and hyperbole. Who we talkin' about now ? Looks like a F-104 on steroids. I had a model of this as a kid. It was hanging in the toy department at Marshall Fields (the Downtown Chicago one) I most likely did some whining and my Grandma bought it (along with a Bear and a Yak-25) as an early birthday present. they were destroyed by my younger brothers by summer's end. FYI, my Grandma was awesome. Gotta love this quote from "The World's Worst Aircraft": "…an outstanding failure which revealed an embarrassing lack of understanding of the problems of high- speed flight."